The Nacsport software is used across 60 countries and in more than 35 different sports. The features and range of versions available mean it is used by national governing bodies and professional teams like Liverpool FC and England Rugby League, but also by local grass-roots teams, schools, colleges and universities. With affordable costs and lifetime licenses, there is a Nacsport version to suit your budgets and requirements. Want to find out who we're working with? 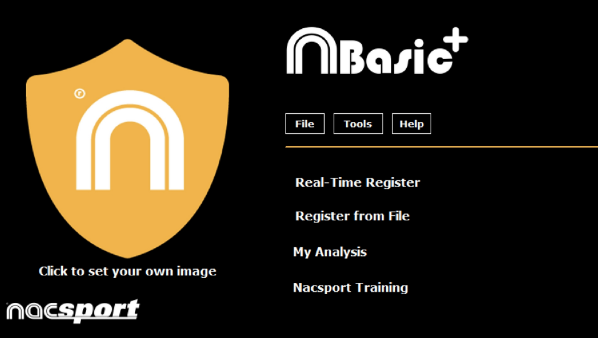 Nacsport offer a variety of timeline based video analysis software which run on the Windows platform to provide you with an affordable and powerful solution for carrying out sports performance analysis within your team or organisation. Without the need to purchase an expensive Mac (the software can still run on a Mac with Boot Camp or Parallels), you can create or extend an existing performance analysis environment without the need for a huge investment. This short video will introduce you to Nacsport and provide an overview of how the software can help you. Please watch it then scroll down for further information and links! Thanks for watching. Below is more specific information on the different versions and features available throughout Nacsport. As we've mentioned, there are different software versions available throughout Nacsport which are designed to match your requirements and budgets. Each version is progressive, inheriting all the features from the version below. There are some key feature differences mentioned below, but please refer to the feature comparison table in the link below and use the Contact tab to ask for more information and request a free demo so you can try any version yourself! This group includes Basic and Basic Plus. These extremely affordable versions are perfect for newcomers to video analysis who can quickly pick up the software and benefit from the key features and feedback resources that you will be able to create. Basic Plus has some features which will allow you to mirror high-end processes and also interact with other software and services like Opta, Wyscout, Gamebreaker and SportsCode due to the ability to import/export XML files (a common language in Timeline based products). This includes Scout Plus, Pro Plus and Elite. These versions of Nacsport offer a huge amount of functionality, with Scout Plus actually offering the features which will allow you to carry out the majority of processes carried out in most professional setups. From this version you can use an unlimited amount of buttons within your personalised template, open 5 separate databases of different games within the timeline, review a matrix with data from multiple databases and create independent presentation windows so you can gather clips from different games over the season. These are just a few of the standout features available in Scout Plus which will boost your effectiveness when carrying out analysis and creating feedback resources. With Pro Plus and Elite, we see the introduction of some high-end live processes, in particular the ability to review actions again whilst you are capturing them and making that process possible on wireless devices which are on your same network. These are the Live Review processes shown in the video below. Of course there are a huge amount of other features available in the Professional Group which are unique to Nacsport and really enhance the efficiency of workflows and amount of data which can be produced and easily reviewed. We encourage you to view the product comparison and further information links below this video and also request you to get in touch for more information and a free demo by using our Contact page. Tag&go is an iPad and iPhone app which allows you to analyse your activities away from a computer and in any environment. By importing or creating personalised templates within the app, you can analyse your activity and later link up the data with a video on your timeline-based software to review all the instances you analysed through Tag&go. 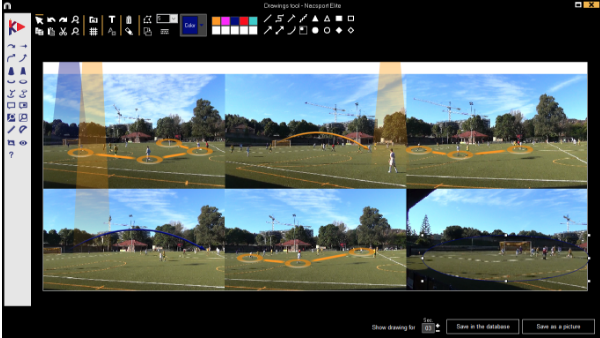 With this app, you are using the same process as you would do with video analysis software. The key difference however is that the activity or video you are analysing is not on the iPad. So this means you have more space for a template and that you can register actions with a few simple taps! The buttons on your template can either be Categories (create video clips) or Descriptors (add extra information). You can completely customise your Category buttons with PRE and POST times or MANUAL MODE, so that creating clips of specific lengths is quick and easy. Activation and Deactivation links can also be used to speed up your analysis! Descriptors add extra information to your Category clips and you can also set these so that they automatically add into each Category clip you create. This gives your template a huge amount of power and variety to ensure that you are gathering the data you need and registering clips of the perfect length for your review processes. You can quickly change the colour, size and positioning of your buttons along with how your text will appear by just using your fingertips! Photo courtesy of Gunghalin Jets, Australian Football Club; a semi-professional Australian Rules Football club based in Gungahlin, Australian Capital Territory. They are a member club of the AFL Canberra First Grade competition. When analysing an activity, you just set the timer running and let the app know when it is half time and full time for example. In between that, all you need to do is tap on your buttons when you see the action happening, simple! At the end of your analysis, you will have created a database file which you can review on the Databases section of the app. This will show you the times of your Categories and the Descriptors which appear. Now its time to share this information to the product you are using to review your video with a timeline and matrix. You can either email the .nac database file which will load up in Nacsport and Codimg software, or email the XML file which will open with the majority of other timeline-based software. If you connect your iPad to your computer, you can also transfer these files through iTunes when you don't have an internet connection. "Nacsport gives you an incredible depth for coding, annotating, highlighting, reporting, analysing and broadcasting relevant sports moments." Go frame by frame and annotate directly on the video screen what you need to highlight. Change the speed of action to make a point. Distribute video segments to specific athletes or the team. Create dashboards and statistical metrics to show visually what matters and identify performance gain opportunities.